Naturally the Korean company is now launching a PR campaign to promote its new flagship. TV commercials are a large part of any such undertaking and just a few days after the launch, LG is already showcasing the clips it will be running. The said videos were uploaded to LG’s official YouTube channel and, actually, this is not their premiere. If you were paying close attention to the company’s launch event, you will surely notice that the same videos were used during the presentation. 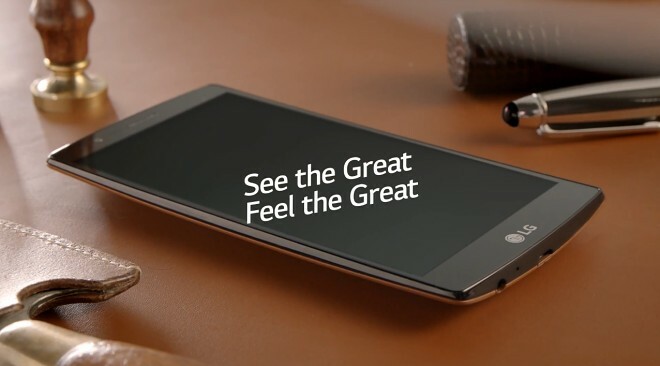 The clips themselves showcase different aspects of the LG G4 and the creative process that has gone into making it. There is a clip about the new f/1.8 camera lens and the impressive lowlight performance it promises and there is also another one about the IPS Quantum display. Interestingly enough there are two separate clips that showcase how the genuine leather stitched back of the phone is being made. One is with black leather and the other one brown, which is a subtle emphasis on the labor-intensive process that LG says goes into every leather unit. Also, all of the clips have 30 second and 15 second versions, both ideal lengths for running on TV. For anyone that might have missed to check out the LG G4, it is powered by a Qualcomm Snapdragon 808 SoC, has 3GB of RAM and 32GB of onboard memory. The screen is built on Quantum LCD technology, has QHD resolution and is 5.5-inches big. The camera setup is quite impressive and consists of a 16MP sensor with an aperture of f/1.8 and an 8MP front shooter. You can also find more info on the device in out hand-on review.